Hi all, I spent almost a day to figure out how to fix z-index issue with IE7. Hoping it to work in all browsers, It worked in all except IE7. so Wrapper by default adds stack to all its children so even though inner has 999 z-index it wont work. But after looking at the crowd It felt that MI is playing at home. there were around 55,000 people waiting, cheering for GOD to deliver goods this time as well. Well It was again a superlative innings from a little master. He has achieved so much in cricket, but still I wonder how the hell he carries the same enthuism everytime he goes to bat.I think its the passion about the game, Its the respect about the game. Desire to be at the top, Hunger to be successful. After all his achivements he still stays humble down to earth person. Youngstars will always cherish this moment to learn more from him. He is the biggest superstar, Superhuman on the earth. Sachin tendulkar u little beauty. Keep going and keep roaring. GOD wanted to play cricket, so sachin was born. so keep adding rhe social networking sites names with comma separated and you are done. To all who idolize and Envy the Genius named “SACHIN TENDULKAR”……..
– Hashim Amla, the South African batsman, reassures himself as he boards a flight. – Yaseer Hameed in pakistani newspaper. – Andrew Symonds wrote on an aussie t-shirt he autographed specially for Sachin. – Wasim Akram to Abdul Razzaq when the latter dropped Sachin’s catch in 2003 WC. Sachin is a genius. I’m a mere mortal. – Tendulkar’s daughter, Sara, tells her class her father’s name after the teacher informs them of a restaurant of the same name in Mumbai. Question: Who do you think as most important celebrity ? Shah Rukh Khan: There was a big party where stars from bollywood and cricket were invited. Suddenly, there was a big noise, all wanted to see approaching Amitabh Bachhan. Then Sachin entered the hall and Amitabh was leading the queue to get a grab of the GENIUS!! – Shah Rukh Khan in an interview. He can play that leg glance with a walking stick also. Sachin Tendulkar has often reminded me of a veteran army colonel who has many medals on his chest to show how he has conquered bowlers all over the world. I was bowling to Sachin and he hit me for two fours in a row. One from point and the other in between point and gully. That was the last two balls of the over and the over after that we (SA) took a wicket and during the group meeting i told Jonty (Rhodes) to be alert and i know a way to pin Sachin. And i delivered the first ball of my next over and it was a fuller length delevery outside offstump. And i shouted catch. To my astonishment the ball was hit to the cover boundary. Such was the brilliance of Sachin. His reflex time is the best i have ever seen. Its like 1/20th of a sec. To get his wicket better not prepare. Atleast u wont regret if he hits you for boundaries. There are 2 kind of batsmen in the world. One Sachin Tendulkar. Two all the others. On a train from Shimla to Delhi, there was a halt in one of the stations. The train stopped by for few minutes as usual. Sachin was nearing century, batting on 98. The passengers, railway officials, everyone on the train waited for Sachin to complete the century. This Genius can stop time in India!! Well, there are lot of cricketers, who came in made an early inroads, got stardoms and got disappeared, it’s like a Cinderella’s fairytale in Indian cricket. Well we are not talking about the Uttapa’s or Rohit sharma’s or Ishant sharma’s. 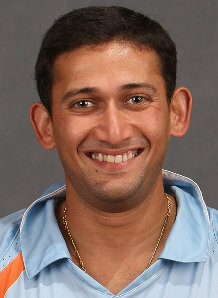 I am talking about Ajit Agarkar, Man who has the record of fastest 50 scored by an Indian. Man who has the 2nd fastest 50 wickets in ODI’s. He has uncanny ability of taking lot of wickets, by conceding runs. But it unfair to say only he concede lot of runs, you should keep him out of Indian team. Look at Ishant sharma kind of phase he is in within 1 year of international cricket, whenever he comes and bowl to a batsmen it looks like you are guaranteed to see atleast 2-3 boundaries in that over. Ajit Agarkar is the totally forgotten by Indian selectors now, then focusing on youth rather than the experienced guy like agarkar, who has 288 ODI wickets to his name more than Kapil dev I guess. His encomy was on higher times at those times, but 6 an over is almost unacceptable and team chase down 300 plus targets within no time. Ajit has a good bouncers which can surprise batsmen along with his pace. Man he is 30+ still bowls speeds better than Ishant’s or any other bowler in the Indian circit now. He is very good middle lower down batsmen and got a ability to make runs and he showed that in many occasion, one in Lords test that Indian lost, there he scored a century , even great little Sachin tendulkar deprived of. He scored a match winning innings on hell lot of occasions even in ranji’s. Look at Zaheer he become wiser by age. Earlier he used to bowl all over the place but now he is 30+ and form of his life. Indian selectors must give him a last chance, when they can give Rahul a chance why can’t Ajit. Look at the way he performed in the Ranji throphy final with 7 wicket haul. Well, It’s shouldn’t happen 🙂 , Sachin retiring from cricket is the worst thing, I can ever imagine in my life. I pray god to give him power to play many more years to come. I would like to see him sharing dressing room with his son. 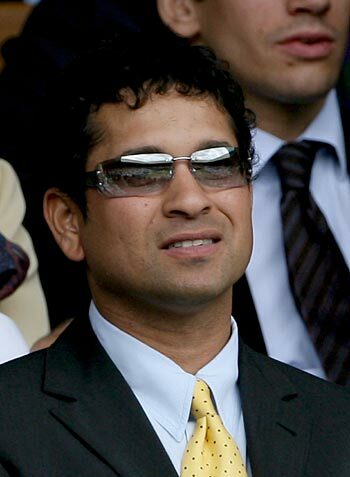 Well, we are not here to talk about Sachin tendulkar’s retirement.